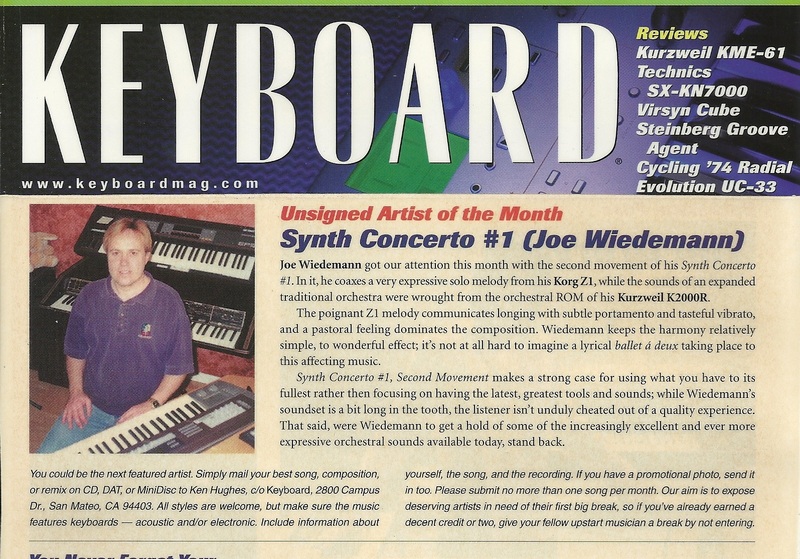 Joe Wiedemann has been scoring music for broadcast television, news specials, documentaries, film, and professional videos, since 1981. Also a 7-time Emmy-winning broadcast television videographer and journalist, his experience behind the camera has influenced his musical works. Storytelling is paramount in both music and video. His unique style of blending classically inspired electronic and orchestral instruments is called Orchestronics(R). By adding new sounds to the historically emotional button-pushing orchestra, moods and stories take shape. As a visual artist, Joe produces music videos for his original scores, such as Evolve, Element of Risk, Dreamcycles, Affections, Synth Concerto #1, and Electronic Symphony #1. Honors include: three Emmy Nominations as a composer, 7 Emmy awards for video production and journalism, and three Silver AXIEM awards for original scores, Winner of the American Idol Underground Inaugural Classical Competition (11/05), Keyboard Magazine's Unsigned Artist of the Month (09/03), and listed as Best Keyboards in Garage Band's Pop category (08/04). A more complete list of visual music credits can be found below. With a multi-disciplinary degree in tv/radio/film production from the University of Evansville, and a double major in music, Wiedemann has been actively creating works for documentaries and news programs. His music has aired in national syndication, and on CBS and PBS television stations. He has also scored music for commercial and instructional videos. Original works have been premiered by ensembles including the Kiev Philharmonic, Colorado Youth Symphony Orchestra, and Cal Poly MIDI Ensemble. A cd collection of original music under the name Orchestronics� (shown below), explores many new varieties of orchestration using classic orchestral and electronic instruments. Wiedemann also publishes sheet music for many of his original works, geared mainly toward community and educational ensembles. A lifelong musical background merged with a broadcast television career in 1978 for Wiedemann. While studying music at the University of Evansville, he spent nearly all of his savings on a rare and expensive PolyMoog synthesizer. He began experimenting with electronic music, and tape-to-tape overdubbing (long before MIDI). 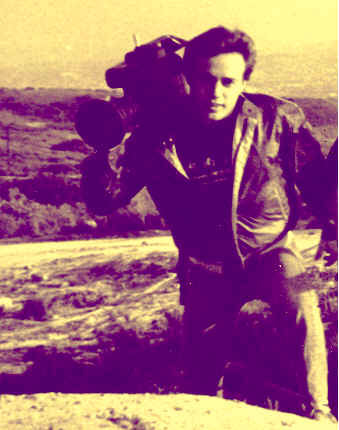 That same year he began his video production and storytelling career as a videographer with WTVW-TV, WFIE-TV and later KFMB-TV. Each new advance in music production technology presented an opportunity to "grow the ensemble" of sounds, leading to new and different instrument pairings. Joe studied music under: Donald Colton, David Wright, R. Douglas Reed, Edwin Lacy, Paul Dove, Shirley Snethen, Robert Rapp and Dennis Sheppard. This NEWEST Release: Element of Risk adds one new chair to the orchestra. An electronic instrument adds color and current texture to the world's most durable ensemble. Already a fixture in film music, these new sounds are now welcome on the concert stage. Element of Risk and Evolve both have popular YouTube videos. You can follow along with the complete score of Rain, with another video. Slightly Distracted is for solo piano, and celebrates the multi-tasker. Agitate shakes up the orchestra with lively orchestrations and challenging passages. Synth Concerto #2 brings an uncommon soloist to the stage, while the all-acoustic pieces Agitate, Incompatibility Issues, and It's Just a Phase shake things up in a new, yet classical style. 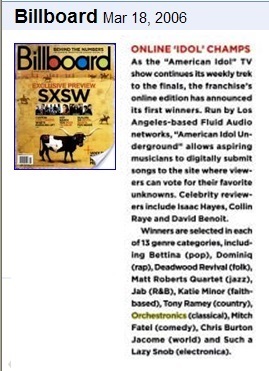 Electronic Orchestra features Symphony #1 in D-minor for an all-electronic orchestra. Other works include: Duet for Any Two Keyboards, Four at a Time, Please! (a quartet for any four instruments within range), and two pieces for full acoustic orchestra, plus one electronic instrument/synthesizer: Dreamcycles, and Watching the Clock. Bulls & Bears explored the many different styles, or genres, that electronic instruments have become a part of: jazz, classical, dance, new age... The Concerto No.1 for Piano and Electronic Orchestra uses a very classical form to show that electronic instruments are capable of forming their own ensemble. Electro-Acoustic Orchestra shows that the symphony orchestra CAN take on new members. Concerto No.1 for Synthesizer and Orchestra, is just the opposite in orchestration from the previous concerto. This time the orchestra is acoustic, and the soloist is electronic. The style is 21st century classical. Joe Wiedemann Composes Music for Broadcast TV, Video and Film. Learn more about Orchestronics.